Owner, Tutor SAT/ACT math, Chemistry Honors, AP Chemistry, Physics, AP Physics, Biology, AP Biology, Homeschool Education, Statistics, Biochemistry, Organic Chemistry, MCAT prep, and GRE prep. As a child, Scott used to sneak into his sister’s bedroom to help her with her math homework. Back then, to help meant to do, but his passion for helping others succeed has only increased over the years. While in college, he began tutoring chemistry and was quickly promoted to head chemistry tutor, a position he held for three years. During three years of college tutoring, he won two awards: “Master Tutor” and “Employee of the Year”. In graduate school at Oregon State University, his contagious enthusiasm for chemistry, unwavering devotion to student improvement and expert delivery of course content won him a “Graduate Teaching Assistant of the Year” award. Scott went on to obtain his doctorate in organic chemistry before pursuing pharmacology as a postdoctoral researcher. He quickly realized, though, that his passion was teaching and he decided to teach at the college level for six years. Having been a college professor for 6 years, Scott knows the skills required of college students and can prepare any student for success in the classroom. 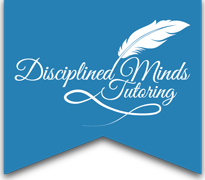 Scott is one of the owners of Disciplined Minds Tutoring. He tutors students in all levels of math, SAT/ACT math, Chemistry Honors, AP Chemistry, Physics, AP Physics, Biology, AP Biology, Homeschool Education, Statistics, Biochemistry, Organic Chemistry, MCAT prep, and GRE prep.